Griot's BOSS Pads no longer come in 2-packs, instead they are shipped as single pads. 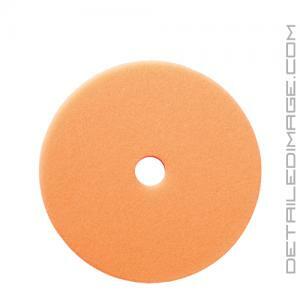 These pads will likely be a popular go-to pad for those 1-step correction jobs. The pad offers solid cut and should finish LSP-ready on most all paint types. Works great with the boss system. Very easy to clean and are holding up well. These pads go a long-way! I love them for one step correction jobs and they do just as they are designed. They clean up very easily and I have yet to have an issue with them. Replacement pad for what I always use. Griot's makes great pads and I am very pleased with the performance.